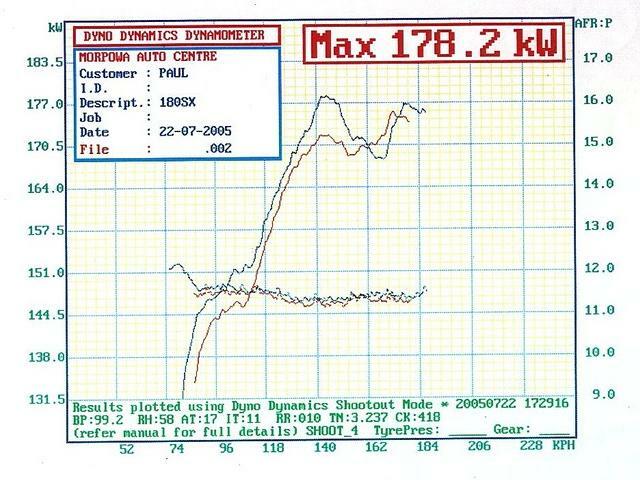 This combo kept Paul happy for quite awhile. 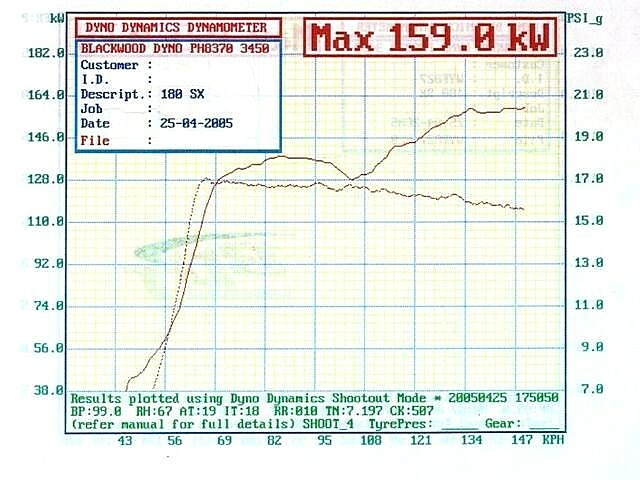 Well, more than the usual 10 minutes anyway ;) But inevitably more upgrades were to follow. 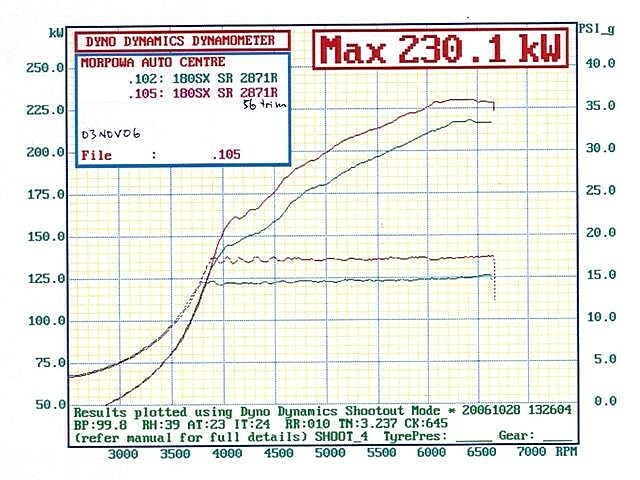 In the form of a 48 trim 2871R - and 550cc injectors. 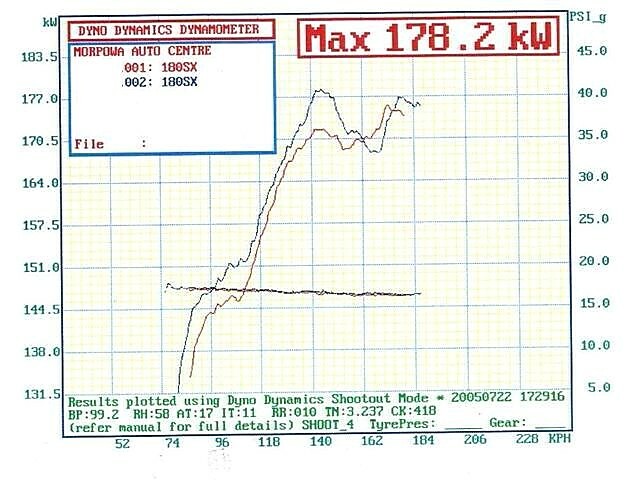 Things kinda became unhinged at this point. 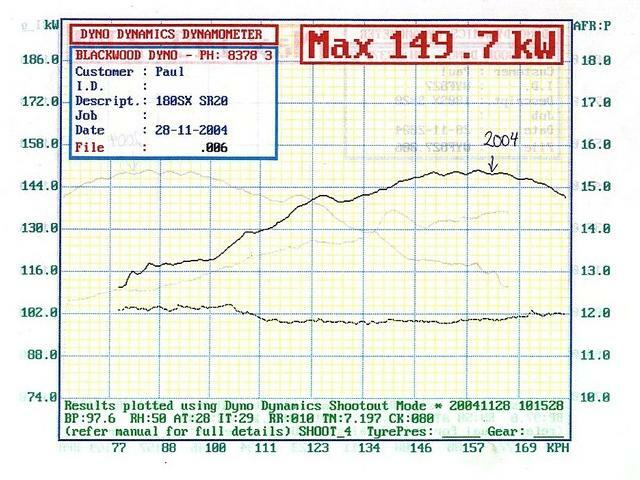 Suddenly the extra power of the bigger turbo was a lot more than the torque converter could deal with. 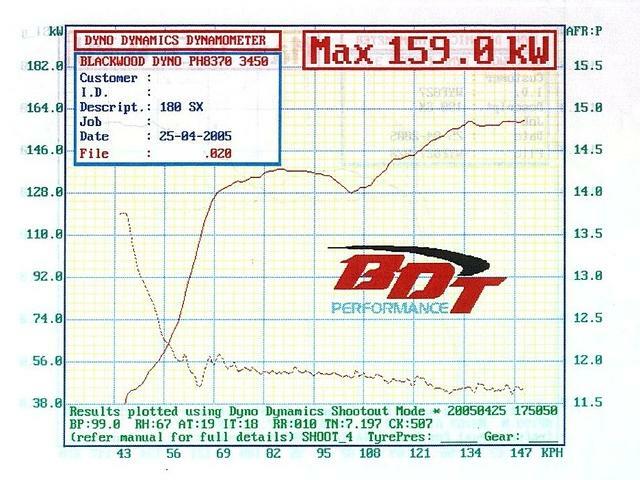 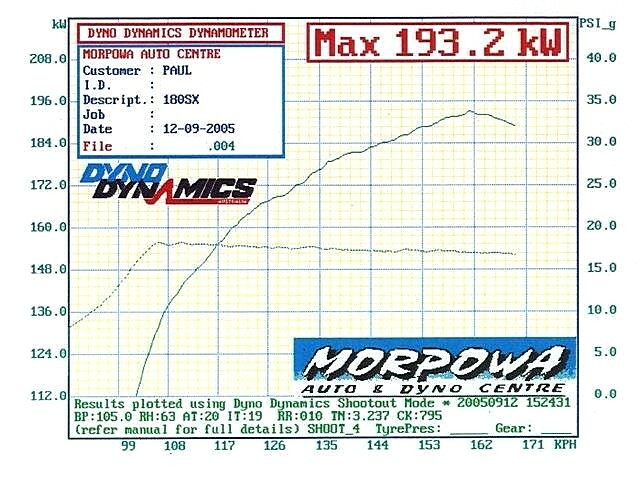 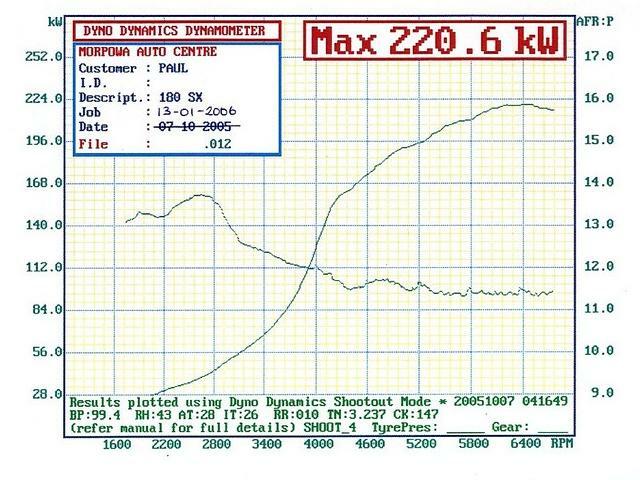 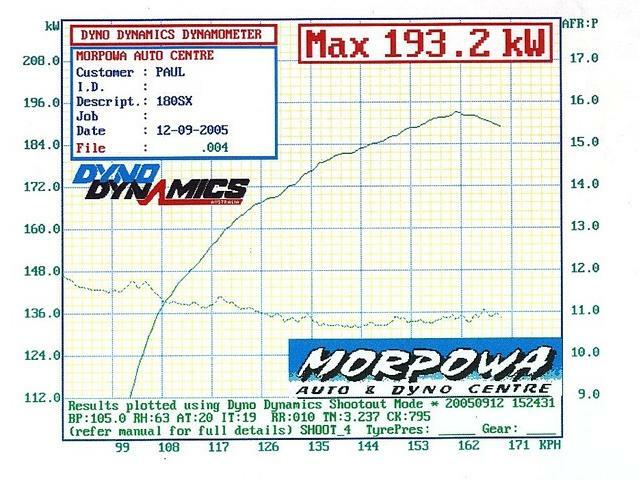 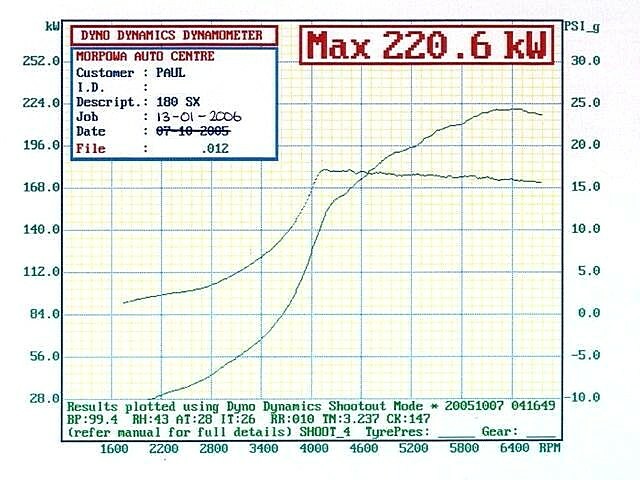 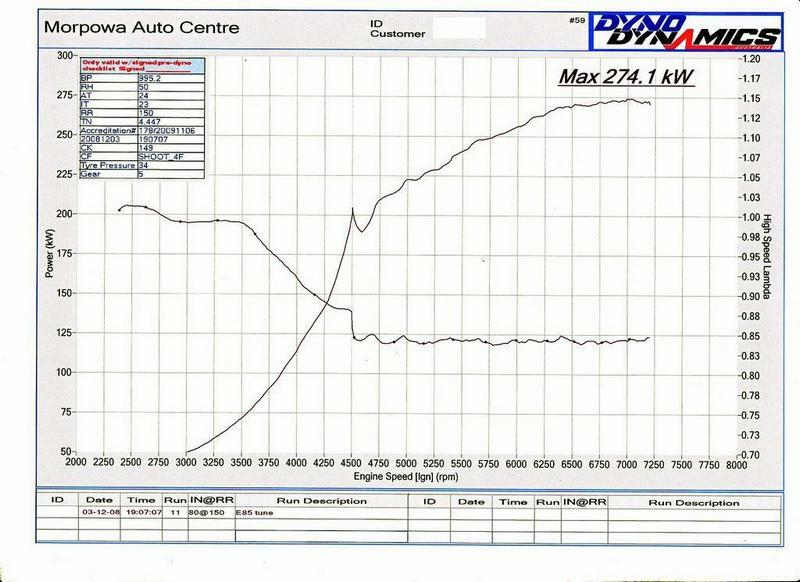 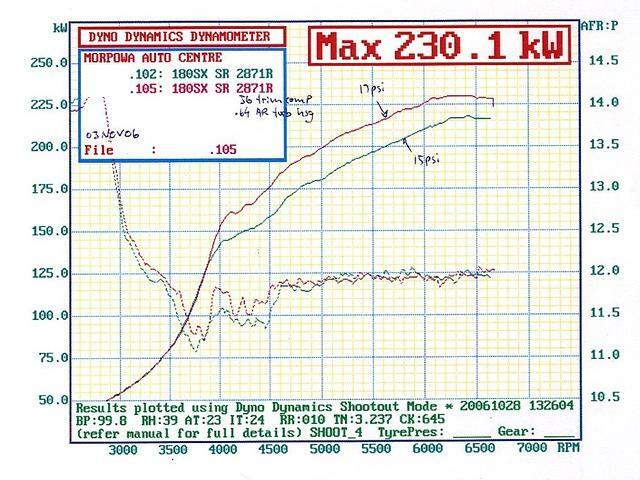 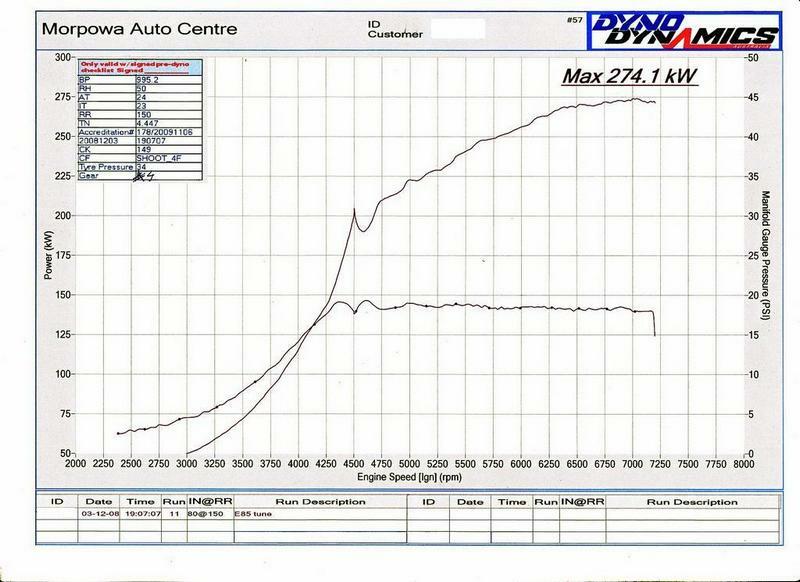 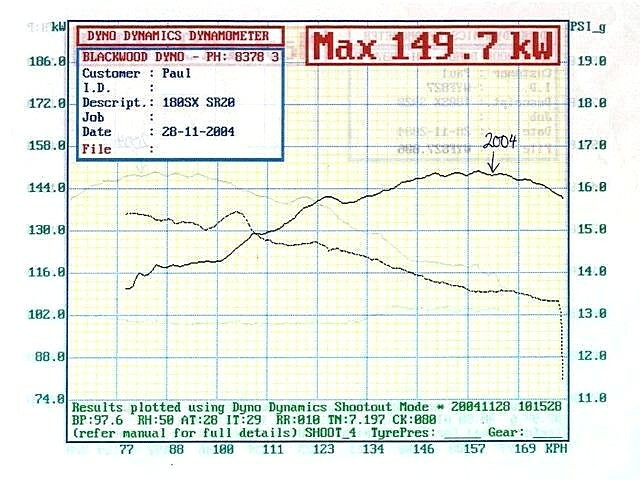 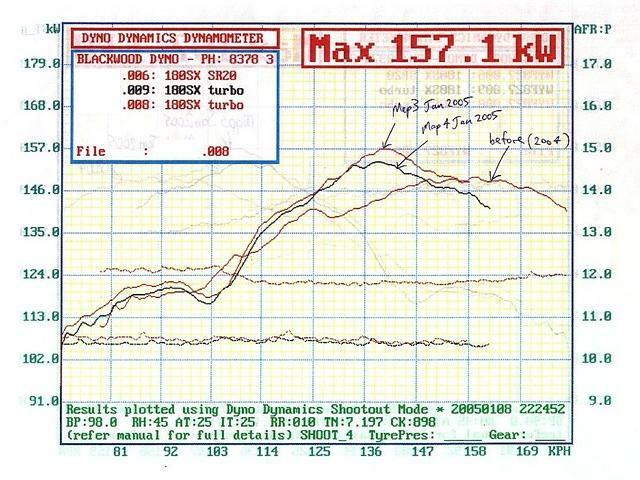 It made for some frustrating dyno sessions - with some rather interesting curves resulting. 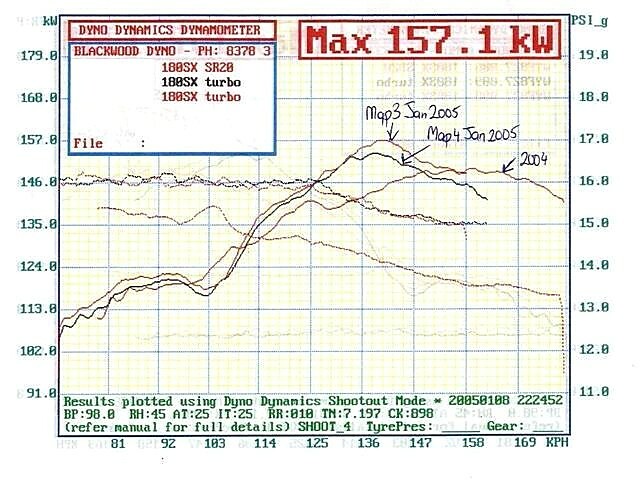 The converter would lock up and then start to slip at peak torque was reached, then it would lock up again as torque dropped off in the upper RPM ranges.